Visit Potton Bedfordshire and the surrounding villages and stay in B&B, hotel or holiday home accommodation provided by BedPosts members. Potton, Bedfordshire, is 10 miles from Bedford. The name derives from Old English for pottery making. Visit 13th century St Mary church. Dinosaur fossils have been dug up here. The town is principally a dormitory town for commuters to London and Cambridge. 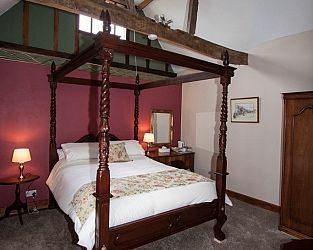 If you seek accommodation near Potton in Bedfordshire you have come to the website of a “club” of providers who offer affordable quality accommodation around UK in hotels, bed and breakfasts, guesthouses, inns, and restaurants plus self-catering cottages and apartments .